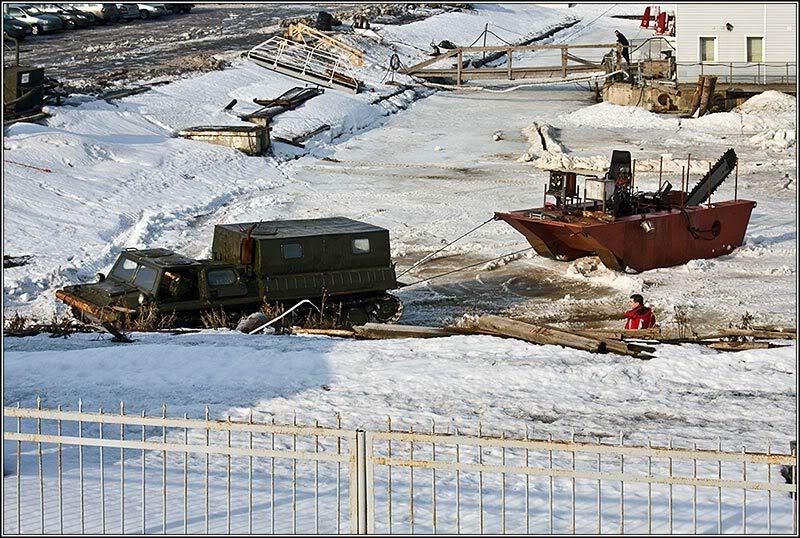 In Russia it’s April so that’s a hot time to go and saw some ice. For this you have some very cool equipment ready. 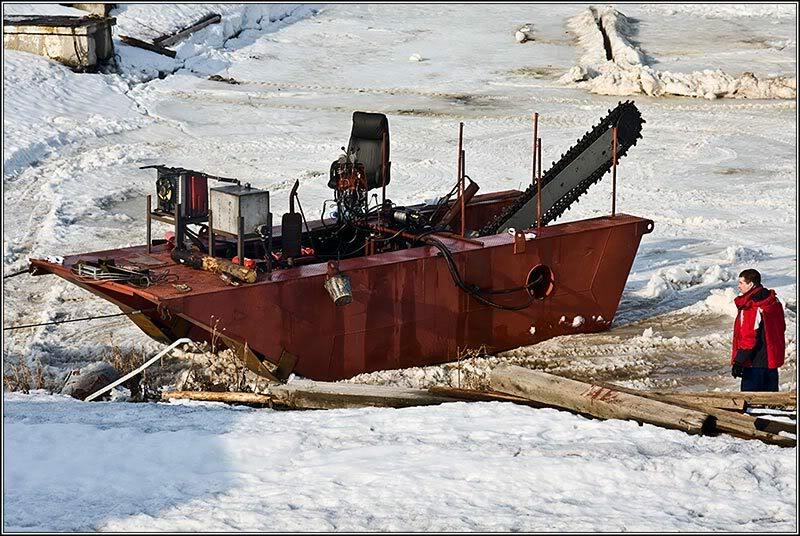 Those shots are from Arkhangelsk city, the port on the White Sea – they’ve got awesome giant chainsaws to go and help the river Dvina to crack its ice open. Wow! 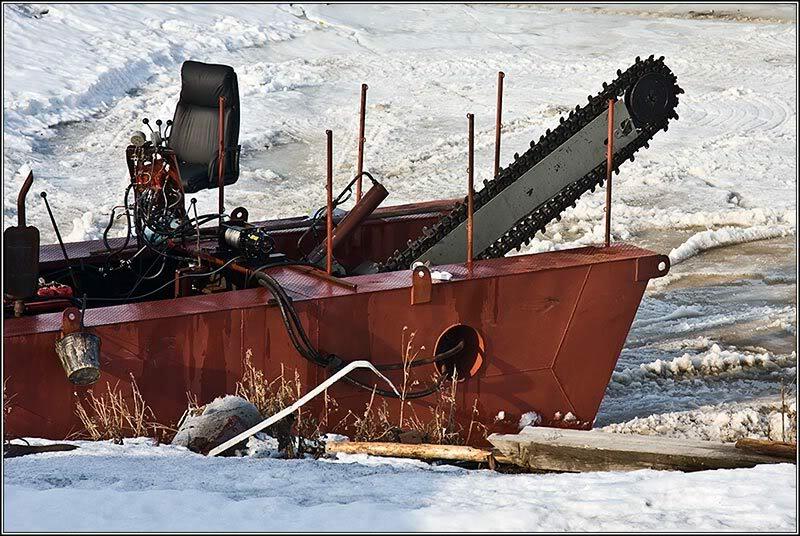 That is a big saw. Would be nice to see it in action. I hope we had those too. Every spring people are whining about the floods. If only there were some way to have photographs of this machine in operation. It’s too bad that this was not allowed. This place freaks me out..My great grand ma came from Russia…she cleaned toilets in America… I have viewed every page in this forum..I am shocked…I have cried…I have laughed…Goodness, what will it take to clean Russia up?? Now America is falling behind and acting like a 3rd world country…Goodness I hope we never resemble the Gov in Russia…I love the people in Russia..May God Bless you all!! !